The ultra contemporary house pictured left is located at 2022 Fairburn Ave. LA CA 90025. The house spent 94 days on the market before receiving an accepted offer. 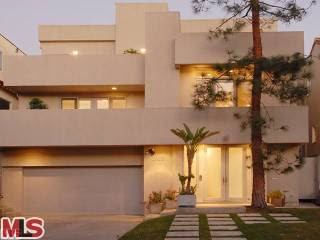 The home was listed on 11/10/08 for $2,395,000 and sold and closed on 3/10/09 for $2,100,000. According to the MLS, the home is a 6 bedroom / 7 bath, 4,485 sq ft of home on a 6,075 sq ft lot. The house is completely remodeled throughout with tasteful contemporary finishes.